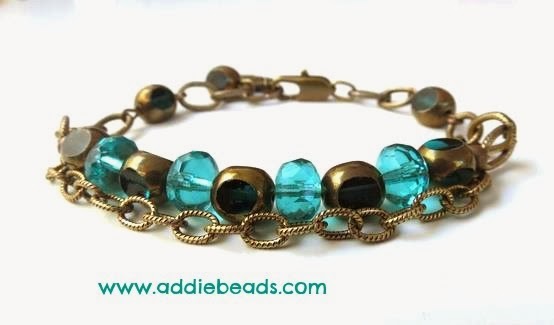 This chain bracelet is one my favourite designs. I make this bracelet a lot varying it with different types of beads and colour combinations. It is easy to wear and is perfect worn solo or layered together with 3 or 4 other bracelets. 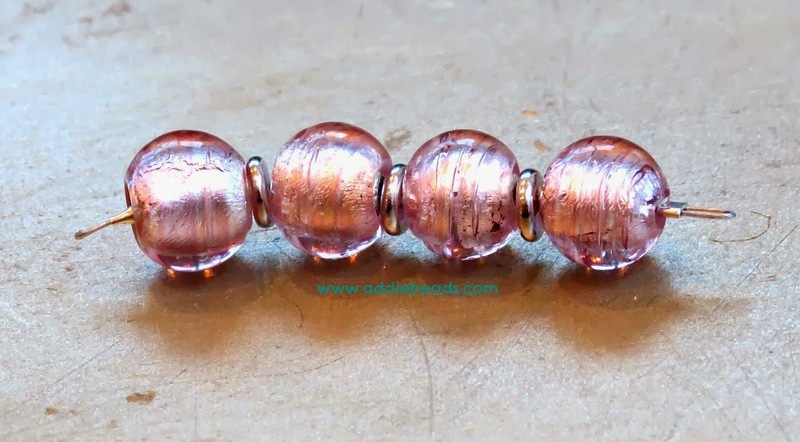 I have used 12mm pink foil beads. 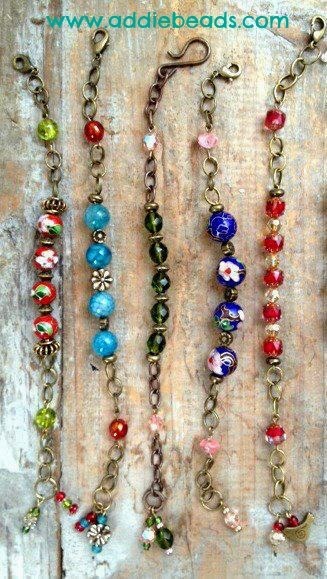 These beads will be in stock in early February in lots of different colours. 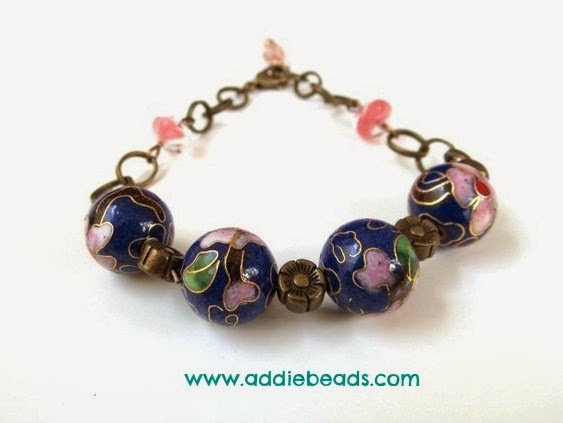 At the end of the tutorial I have included a few pics of variations of this bracelet. 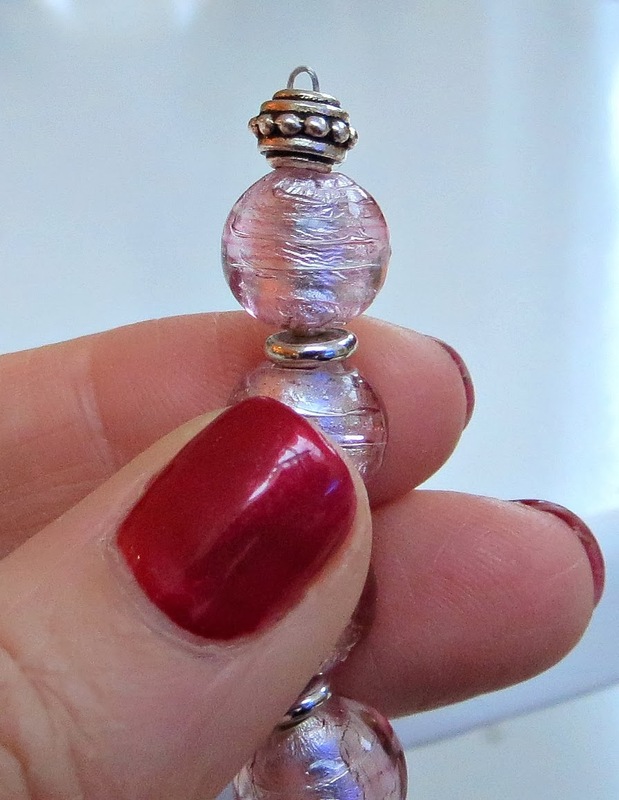 It is a versatile design and you can use ANY beads you fancy! These are just my choice for the tutorial. Follow these easy steps to create your own chain bracelet. You can use ANY beads you like but I think round beads work best. 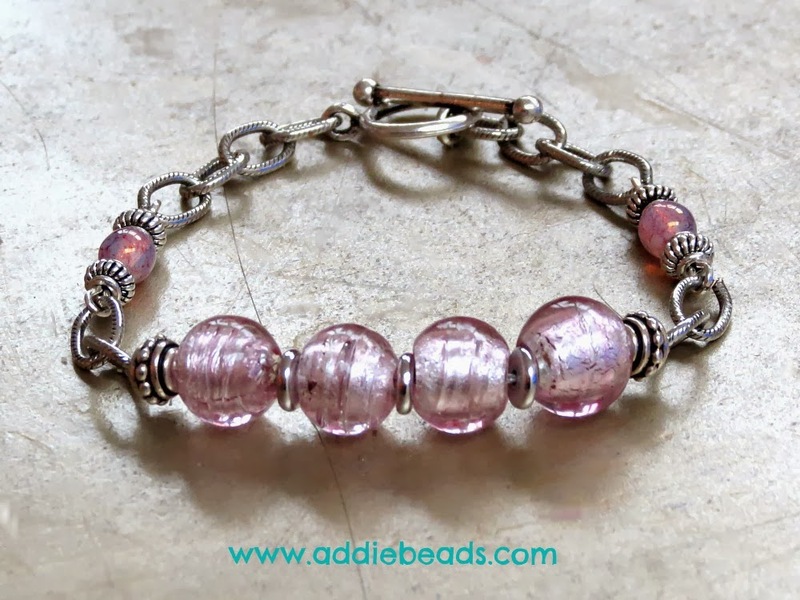 Basically for this bracelet you will be making three separate pieces that will be linked together with chain links. 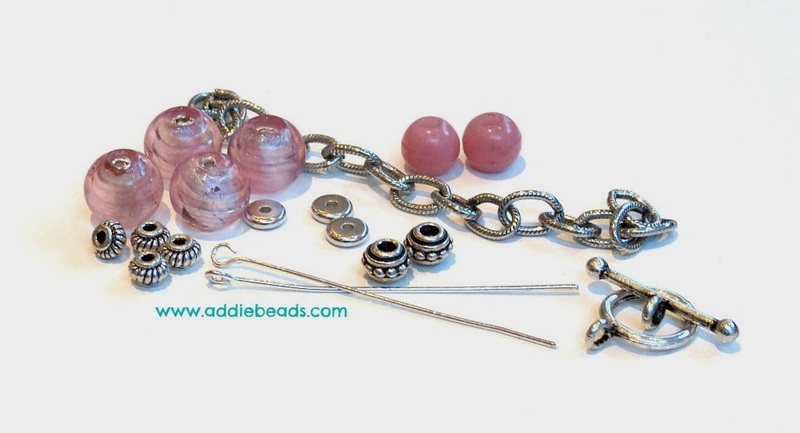 STEP 2 – Place the smaller 6mm beads with turbin spacer either side onto silver eye pin. You have now created a beaded connector. You will need two of these. STEP 3 – Place the 7mm large hole spacer OVER the loop of thread so it is sitting next to the first bead. Make sure the loop of thread is visible. STEP 4 – Remove a link from the chain and using two flat nose pliers ease open the link. Make sure not to open it too much as this can distort the shape of the link. Place the open link through the threaded loop. Close your link. 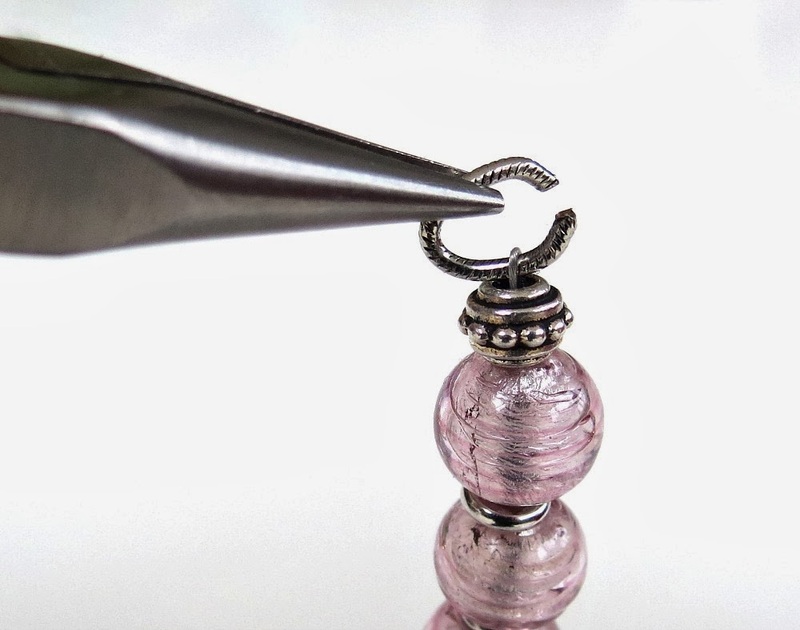 STEP 5 – Take your beaded connectors made at step 2 and add them to the main focal piece, making sure that you add in another chain link so there are two chain links separating the main piece and the two small beaded connectors either side. 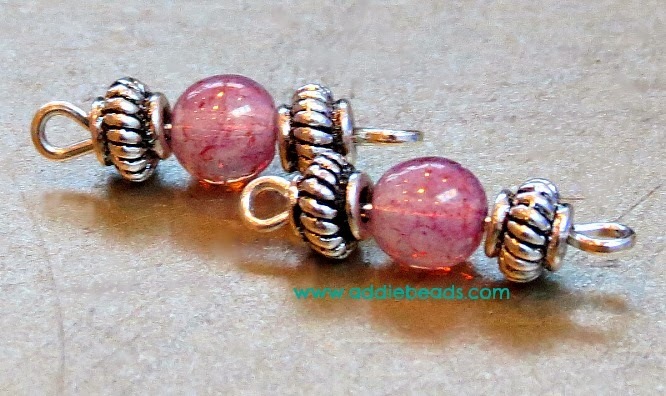 STEP 6 – Finally just add four links to either end of the bracelet and attach toggle clasp to each end link. A FEW TIPS ! – When you are at the first step make sure when crimping to leave a loop about 3mm big. This will ensure that you have enough of a loop left AFTER you add the large hole spacer. This is important as you need enough space to get the chain link through this hole. Make sure all loops are properly closed. Have fun coming up with your own combinations of chains, beads and colours. 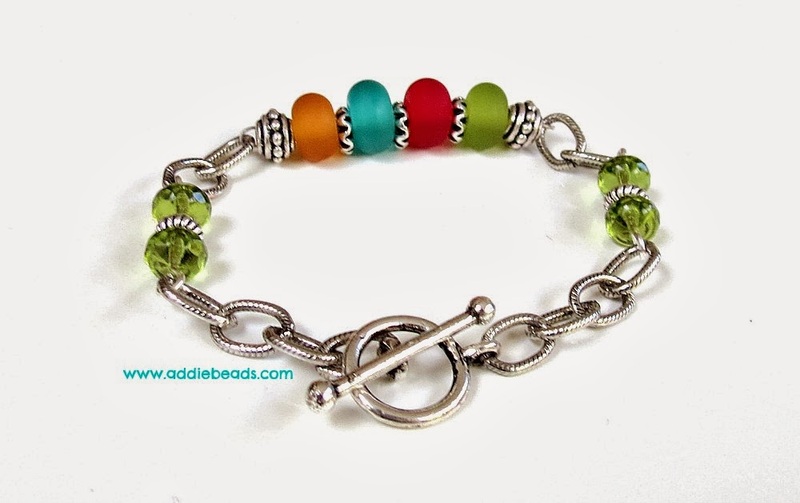 If you feel like making this bracelet and would just like to purchase all the various pieces please contact me at addiebeads@gmail.com and I can put together a pack for you.